We help lots of folks like you to purchase the home of their dreams with our INDIANAPOLIS owner financing program. First step – sign up to find great properties around INDIANAPOLIS just by filling out the form. You’ll get immediate access to great INDIANAPOLIS homes, plus a whole lot more. 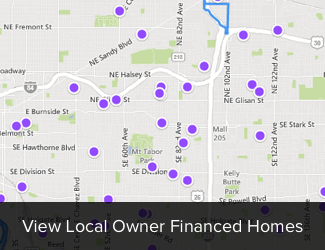 In the INDIANAPOLIS area, lots of smart people are using owner financing as a way to get the home of their dreams without having to qualify for a bank loan. Plus you are saving thousands on closing cost or points that are standard with dealing with a traditional mortgage or lender. Our INDIANAPOLIS homes range in price from $49,900 to $89,900 and typically require a down payment of $3,000 to $10,000. We have found that this is the best price range to find homes that are in decent neighborhoods where people want to own a home and raise a family. Please submit this form and you will instantly be able to see our list of homes. It's easy UNSUBSCRIBE when your search for a new home is over. Bilingual Outside Sales Rep Needed!